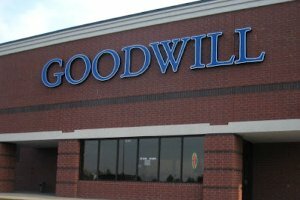 I'm not ashamed to say that I shop at Goodwill and I love it. I've been able to fill my closets, decorate my house and have come across some really neat items I never would've known existed. There are, however, some things that you just shouldn't buy from Goodwill. While I don't agree with the list completely (I've gotten a few TVs and tons of great toys), there are a few good points that I never would've thought of. Wow. The person who wrote that is seriously obsessed about germs. She/he needs to go play in the dirt and get over herself. I agree about the makeup, am on the fence about the underwear , and am simply in awe of the silverware comment. Don't we all use "stranger's" silverware when we go out to eat? I would NEVER buy underwear anything but new. However, it's too funny that silverware is on this list? I agree with anon..we all use used silverware when we eat out. What's the difference? I'm icky about the blender, but a new one costs about the same new as it does used. I have to say that I don't see the difference between the silverware and the blender. When we purchase those kinds of things from thrift stores, we definitely make certain it is cleaned thoroughly on the sanitization cycle of our dishwasher. Same thing with underwear, really, although the idea still bothers me; undies are purchased new, but decent boxers are a great thrift store find. Bras, though? If there's a bra in good shape, comfortable, and fits, for only a few dollars, I am SO buying it ASAP; new costs upwards of $30! I'm confused was this article for or against consignment shopping? listen I totally understand never buy someone elses underwear, but come on now, plastic, metal...these are all things that can be cleaned, just use good judgement. if you open up a blender and the rubber seals are dried up, then i would reconsider. I don't know about anyone else, but i played outside when i was a kid, ate dirt, held worms, we got dirty. I think we all turned out ok. :) so i say shop away!